All beautiful. I really like that first one, The pattern on it looks like it was rolled on crinkled tin foil that was smoothed back out. Really excellent cab. Is this a similar type? From AZ? Very similar. The brick red looks like cuprite or possibly siderite. 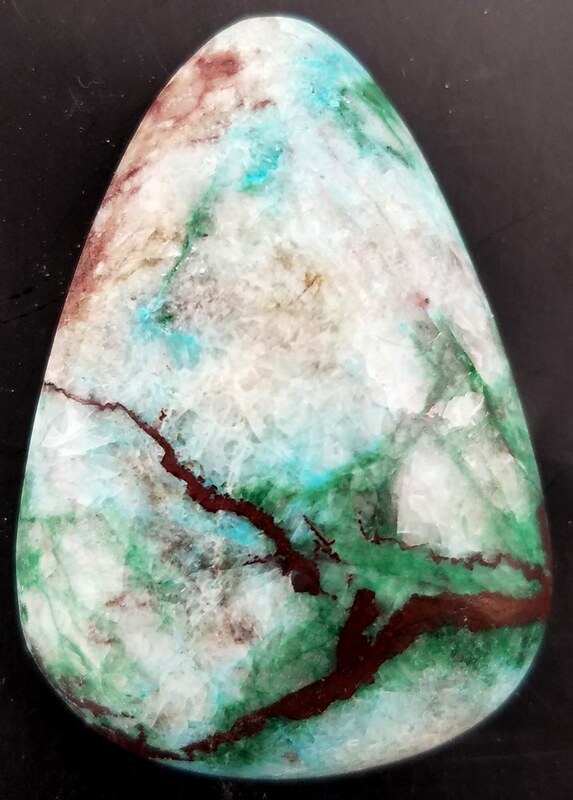 The rest looks like mainly malachite with maybe a little dioptase and it loos like maybe a little turquoise in there. I have no idea if that is from Arizona or not. Most likely it is either Arizona or Nevada. Beautiful, especially that first one! 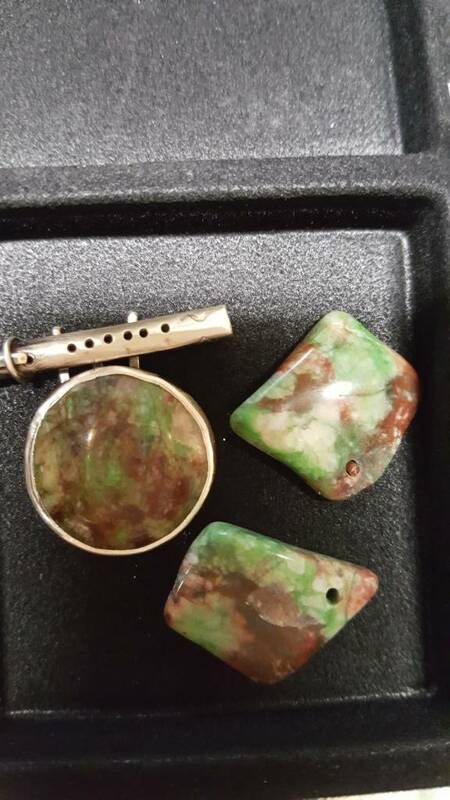 Might the stones in this photo be copper ore? Thank you. 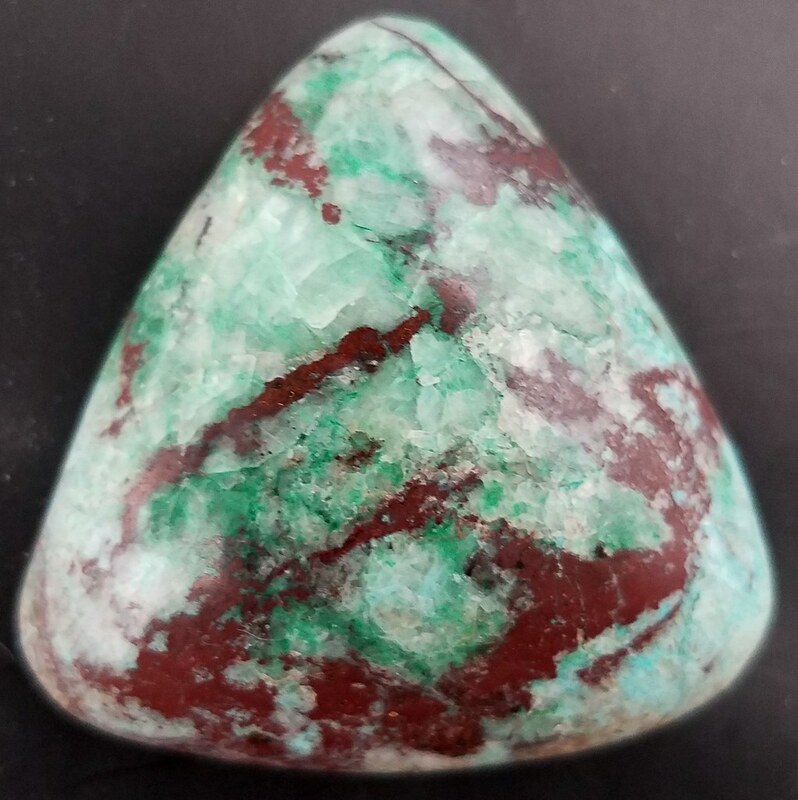 Looks more like a varscite or possibly even a turquoise. Both are related both being aluminum phosphates, but different coloring agents. All your CO cabs are beautiful, both design and color. I really like to look at them. Thanks. I have a bunch more I will try to post when I get a chance. Many have to be finished up. I do large batches on the first three wheels then move everything over to the last three wheels. So have a box load of cabs to be finished up.